Join us for Thursday Night Healing Circle where ordinary people come together and practice using EFT Tapping and other techniques to free themselves from pain, stress and fears. This group is for ordinary people who have physical and emotional issues they want to eliminate in a safe, supportive environment and who wish to experience greater joy in their lives. Topics will vary depending on the group and individual needs. In this group, you will learn how to better use EFT Tapping for yourself and experience surprising shifts in your own issues! *Offered on a sliding scale. You decide what you pay. To register or for more information, please contact Bonnie here. 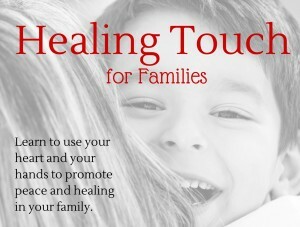 I am excited to announce that I’ve scheduled another Healing Touch for Families workshop in June! Two simple Healing Touch techniques that you can start using right away in your family! Contact Bonnie to register. Space is limited so get your spot now. And embrace your super powers! Sign Up Online – click here! 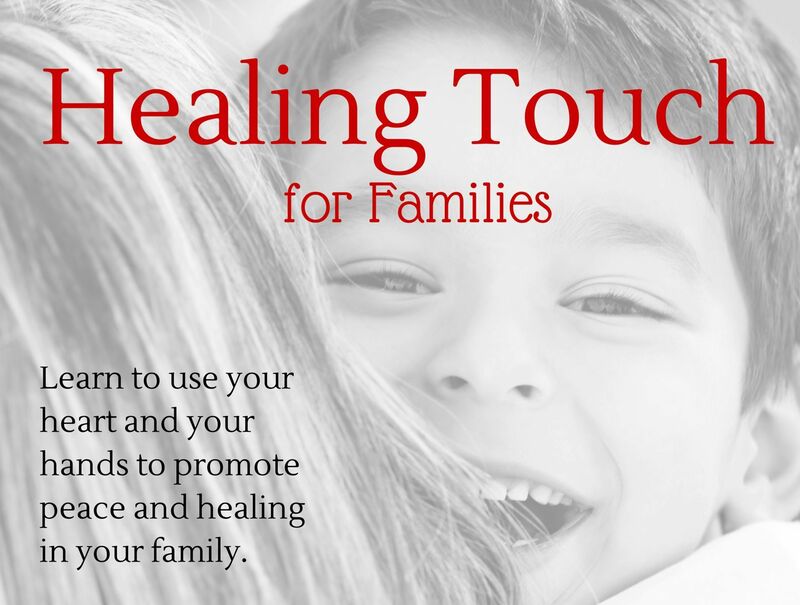 Taught by Bonnie Thompson, Healing Touch Certified Practitioner and mom of four. ﻿I am very excited to announce that I will be teaching a new Healing Touch class for children in October. It is geared to ages 6-12 and parents are invited to attend with their child. One of my passions is to teach families about life force energy and how to use it to support emotional and physical well being. Just imagine if every child had great tools like Healing Touch and EFT to manage their emotions and help them to deal with life’s bumps and bruises! Read on for more information and feel free to share this information with those you think might be interested. Does your child seem stressed or anxious at school? Would you describe your child as being highly sensitive? Is he/she too easily influenced by the emotions of others? Would you like to help your child learn tools to manage their own energy and emotions? Suggested ages are 6-12. Cost is $35 and includes one child and one parent/guardian. 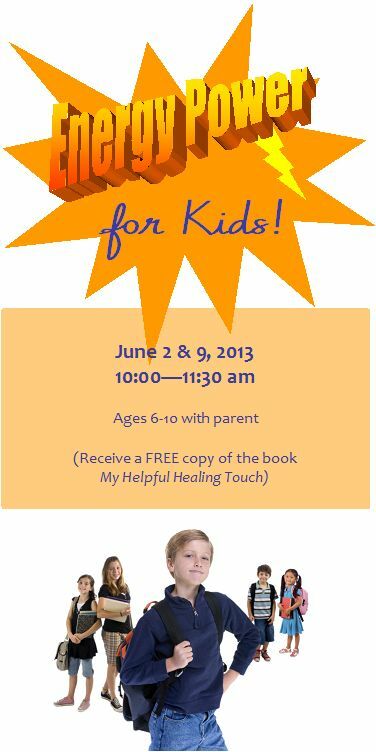 The book, My Helpful Healing Touch: A Guide for Empowering Children is also included. What is Healing TouchTM? Healing Touch is a gentle, energy-based approach to health that supports the body in its natural ability to heal. Healing Touch restores harmony and balance to the human energy system through heart-centered touch. For more information on Healing Touch visit www.HealingTouchProgram.com. Call Bonnie at 970-988-0566 or email bonnie@healingtreewellness.com to register. Pre-registration is required and space is limited—call today to reserve your spot! I am pleased to announce that I am now seeing clients in a lovely, new office space. It is located within the Open Pathways Integrative Wellness and Learning Center at 383 West Drake, Suite 201, Fort Collins, CO. The new space includes a large, beautiful classroom that I will be using frequently for workshops and group events. I am so looking forward to teaching again! Watch for more information soon about events and classes. I would love to hear from you about what you’d like to see offered. Please feel free to comment below. Thank you! You can listen online or by phone. We will be discussing the way that children’s energy fields differ from an adult’s and how that affects our relationships and our use of EFT. You’ll learn about family energy dynamics and how children experience their world. I hope you’ll join us! Another Introduction to Healing Touch workshop coming up next week! Call or e-mail me soon if you’d like to register! Would you like to know more about energy medicine and how it works? Would you like to be able to relieve others’ aches and pains? Join us in Fort Collins for a formal introduction to the energy therapy known as Healing Touch. You will learn what Healing Touch is and how you can begin using basic Healing Touch concepts and techniques to benefit yourself and others. The workshop includes hands-on learning and discussion of basic energy anatomy. Please register by calling 970-988-0566 or sending an email to me at bonnie@healingtreewellness.com. Your questions are always welcome! *Continuing education units (CEUs) are available to massage therapists and nurses for my Intro to Healing Touch workshops. There is a $10 certificate fee if you want the CEUs.